Love coconut, or lime, or both? 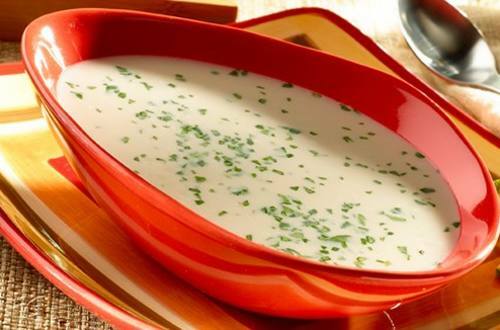 Our Coconut Lime Soup recipe has the flavors satisfy you and warm you up. 1 Melt Country Crock® Spread in 4-quart saucepan over medium heat and cook onion, stirring occasionally, 4 minutes or until onion is tender. Stir in water, coconut milk and Knorr® Chicken flavor Bouillon. Bring to a boil over high heat. Reduce heat to low and simmer 3 minutes. 2 Remove from heat, then stir in cilantro and lime juice.